Habonim Dror runs 6 מחנות קיץ across Canada and the United States, an Israel summer program (MBI), a Gap-year program in Israel (Workshop), and year-round activities in many areas of North America (called Eizorim/Kenim) based on the pillars of Progressive Labor Zionism, Judaism, Socialism, Social Justice, and Hagshama (actualization of values). Machanot (Summer Camps) are in blue; Kenim & Eizorim (Year-Round Programming) are in red. Habonim was established in London in 1929 by Wellesley Aron. By the mid 1930’s the English movement already boasted 10,000 members and had spread to North America (1935), South Africa (1930), India (1935), Australia (1940), Argentina & Brazil (1945), New Zealand (1949), and Holland (1950). 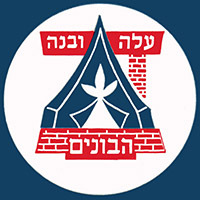 Dror was established in 1915 in Russia as a Socialist-Zionist youth movement. Dror soon spread to Poland and throughout Europe and by the 1930′s had also opened centers in South America. By the mid-forties, the movement existed in South Africa and in 1961 Dror was founded in England. 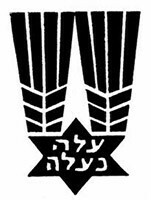 Habonim in North America was born out of the 1935 convention of the Poale Zion (Workers of Zion). It was formed on the principles of Zionism, the answer to the question of the fate of the Jewish people, and Socialism, the solution to society’s problems. 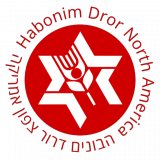 In 1982, Habonim merged with Dror and Habonim Dror North America was created. For more information about Habonim Dror North America and its history, please visit our Resources section. To upbuild the State of Israel as a progressive, egalitarian, cooperative society, at peace with its neighbors; actively involved in a Peace Process with the Palestinian people with the common goal of a just and lasting peace; and as the physical and spiritual center of the Jewish people. To this end, Habonim Dror calls first and foremost for Aliya to communal and collective frameworks that actively work to achieve the aforementioned goal. 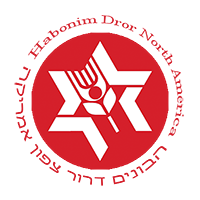 In addition, Habonim Dror also calls for active involvement in progressive Zionist and Jewish issues in Diaspora communities, using collective-living frameworks as a foundation. To strengthen the relationship between North American Jewish youth and Judaism through their involvement in progressive Jewish communities with the purposes of enlisting their participation in the up-building of a renewed Jewish culture in both Israel and North America. This will be accomplished by the development of individual Jewish identities by means of promoting the exploration of Jewish spirituality, the full expression of the Hebrew language, an understanding of Jewish history and a personal relationship with Israel. To participate in the creation of a new social order throughout the world, based on the principles of self-determination, individual freedom, environmental sustainability, political democracy, and cooperative economics, the equality of all people and the equality of human value. To participate in constructive activities in the North American Jewish community while advocating change where necessary to foster Jewish continuity and creativity and the democratization of the community. To develop within its members the will to realize their own capabilities and to develop a collectivist attitude to actualize the movements goals through cooperative frameworks (kvutzah).